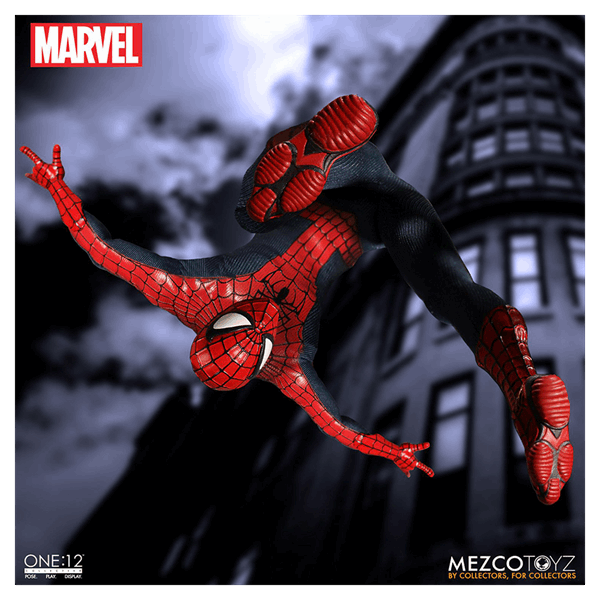 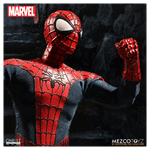 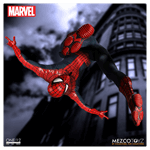 Your friendly neighbourhood Spider-Man swings into the One:12 Collective! 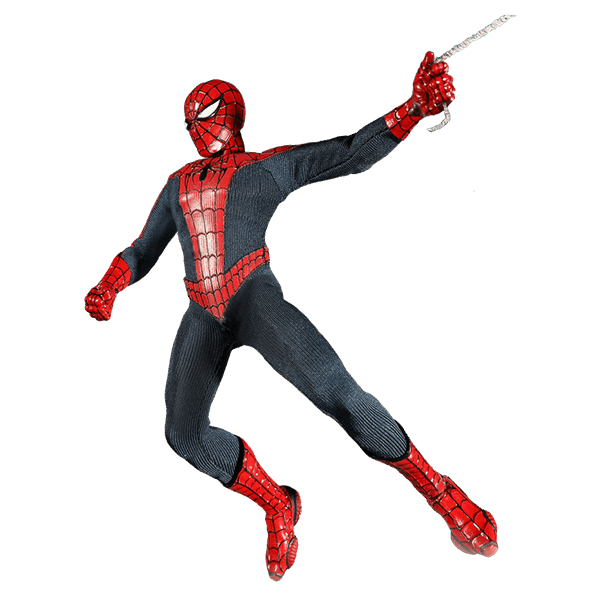 When young Peter Parker is inadvertently bitten by a radioactive spider he is infused with spider-like abilities; super strength, the ability to cling to surfaces and climb walls, and a "Spidey Sense" that allows him to react to impending danger. 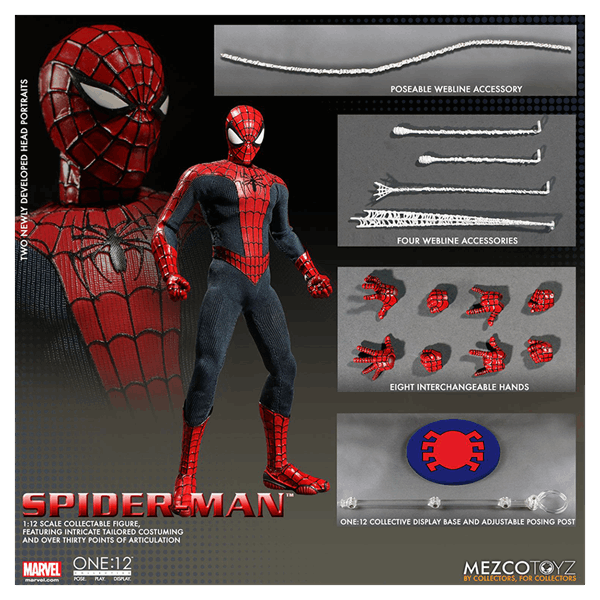 Utilizing his famous, self designed Web Shooters as well as his amazing powers Spider-Man vows to protect his fellow man after the untimely death of his uncle at the hands of a common thief, quickly rising to the responsibility of using his great powers to be the hero we all know and love. Assembled on an all new One:12 Collective body developed specifically for this figure, Spider-Man features over 30 points of articulation. This figure also features a meticulously tailored outfit with intricate silk-screened details and includes multiple interchangeable parts and accessories.